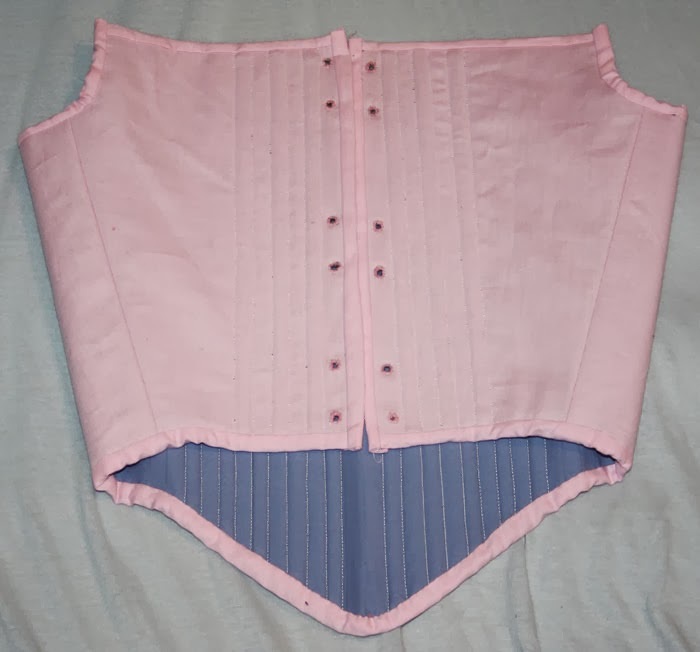 I am finally finished with the corset. I took my time because I to study very hard for my exams. 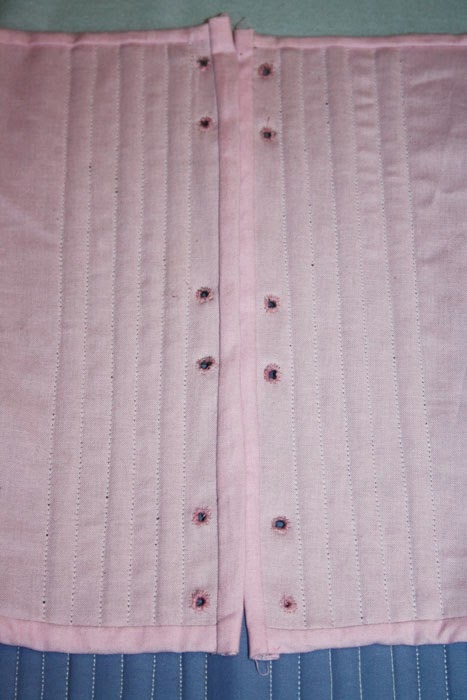 All the eyelets are hand-stitched. I used the pattern from Italian Renaissance costume construction. Although I have to say, I may have tailored it a tiny bit too big. Even though I made it smaller three days. Oh well, never mind. At least it binds my breasts. But it presses into my sides very hard...I may have made it a big too long too. Bad selfie. 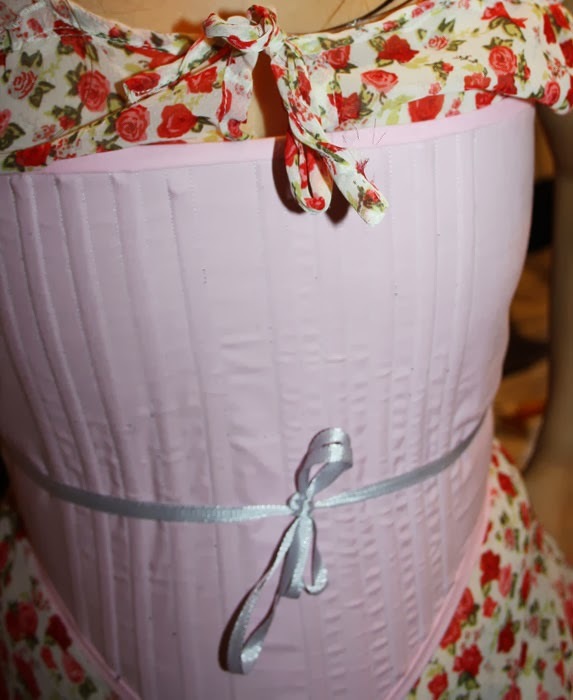 I couldn't tie the corset at the back but I will have helpers to get ready with my costume when it's show time.. XD All in all, I am very flat! And only a bit more than one month left, uwah! Time, were are you?